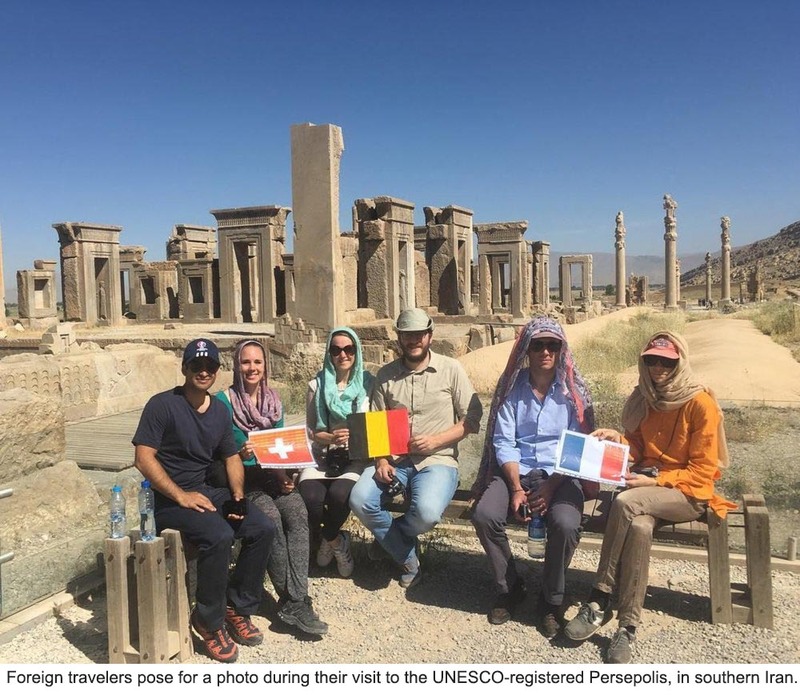 The number of international tourist arrivals to Iran stood at 4.9 million in 2016, falling 5.6 percent from a year earlier and showing the first decline since 2013, according to the latest UNWTO Tourism Highlights report released on August 15. Tourist arrivals in the country jumped from 2.938 million in 2010 to 4.967 million in 2014 and 5.237 million in 2015, fetching $2.43 billion, $3.84 billion, and $3.86 billion in revenues in 2010, 2014 and 2015 respectively, the report said. Iran made up 1.6 percent of all international tourism arrivals in Asia and the Pacific during 2016. The survey categorized Iran in South Asia region, which also includes Afghanistan, Bangladesh and India amongst others. From a global point of view, the demand for international tourism remained robust in 2016 despite challenges and worldwide tourist arrivals grew by 3.9 percent to reach a total of 1.235 billion. Some 46 million more tourists (overnight visitors) travelled internationally last year compared to 2015. "Tourism has shown extraordinary strength and resilience in recent years, despite many challenges, particularly those related to safety and security. Yet, international travel continues to grow strongly and contribute to job creation and the wellbeing of communities around the world," UNWTO website quoted Secretary-General Taleb Rifai as saying in January. "2016 was the seventh consecutive year of sustained growth following the 2009 global economic and financial crisis. A comparable sequence of uninterrupted solid growth has not been recorded since the 1960s," the report says. Iran is extraordinarily easy on the wallet since travel costs including the ones for food, accommodation and transportation are fairly low and the country has maintained its topmost global rank as a lower-cost destination for a third straight year, according to a 2017 biannual report by the World Economic Forum. "Foreign travelers are able to find amazing bargains while trekking in Iran with some travel sources put daily travel expenses and the ones for 24-day trip at $25 and about $600 respectively." Filled from corner to corner with ancient bazaars, museums, mosques, monuments, gardens and palaces set inside bustling cities, historical ruins and rich rural landscapes, Iran is increasingly filled with camera-wielding Westerners seeking adventure, archeology and art. It is a hub for medical and health tourism as well.